Multi mineral and trace elements. 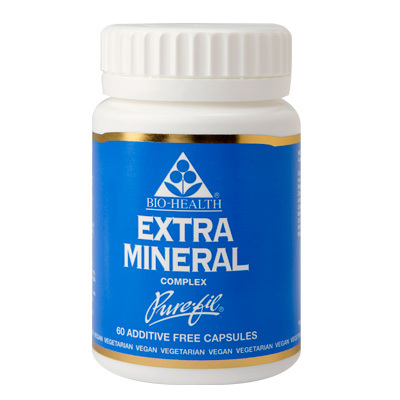 Calcium, Iron, Magnesium, Zinc, Iodine, Copper, Manganese, Chromium, Selenium, Molybdenum and formulated to provide a balanced ratio of important minerals. Some minerals are essential for many major body functions concerning bone and tooth development, the blood, muscular activity and nerve function to name a few. Four capsules taken daily taken at separate intervals throughout the day for best assimilation or twice daily with food. The essential minerals included in this foundation are necessary for major body functions. One capsule for each 42lbs (20kg) body weight.